Large cherries! Wowza! 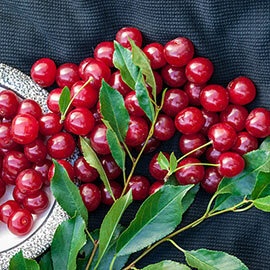 Cherries have a generous flesh-to-pit ratio, so you'll have plenty to enjoy and share. In fact, the cherries from Wowza! 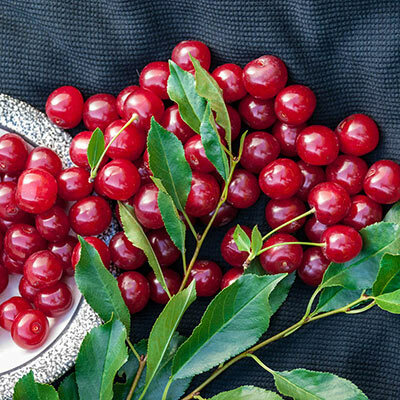 grows up to twice the size of cherries from Carmine Jewel—one of our most popular varieties. Each Wowza! yields up to 20 lbs. Manageable plants! As a dwarf cherry, Wowza! will grow to just 5-8 ft. tall. That means it is much easier to manage than a full-sized cherry tree. All the netting, pruning and picking can be done by one person with no need to drag out the ladder. Wowza! can even be grown in patio containers. Tolerates cold! Wowza! was developed at the University of Saskatchewan. It can handle the cold like a champ and is a great option for Northern growers. Grows in zones 2-7. Backed by Research! More than 50 years of research have been dedicated to developing cherry trees that have desirable attributes such as cold hardiness and dwarf stature without sacrificing fruit quality. Wowza! is a result of such research and comes from the same breeding program that brought you Carmine Jewel, Romeo and Juliet. Just for home gardeners! Wowza! has an elongated pit that makes it unsuitable for most mechanical harvesters. 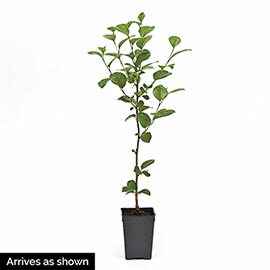 That means this choice cherry will only be available for home gardens and pick-your-own farms. Henry Field's is proud to be one of the first nurseries to offer Wowza! to home growers. Zone 2 - 7. Hardy to -40 degrees Fahrenheit. Depth: Plant at the same level it is growing in the container. Fruit: Very large, bright red, tart cherries. Yield: Produces yields up to 20 pounds at maturity (5-6 years after planting). It takes at least three years to get fruit, with yields increasing until the plant reaches maturity.